Mr. Mohammed Lamloum Ratieb is a Senior Legal Consultant at Al Kabban & Associates Advocates and Legal Consultants. 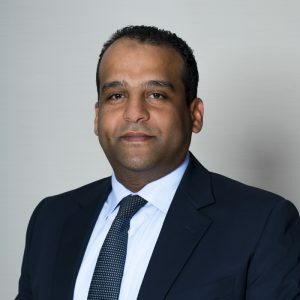 Mohammed’s UAE experience is wide ranging with over 15 years’ experience in legal disputes involving civil and commercial law, property and real estate law, labour law and criminal law. Mohammed also plays a leading role in the firm’s Arabic Arbitration cases. Mohammed is highly knowledgeable in all matters concerning the relevant UAE local authorities, specifically the Dubai Courts, Dubai Public Prosecution, Dubai Police and the Municipality. Mohammed has also played a key role in a variety of the firm’s legal accomplishments ranging from the winning of landmark cases to receiving court judgements that established legal precedents in the UAE. Mohammed joined the team at Al Kabban & Associates in 2006. Prior to joining Al Kabban & Associates, Mohammed worked at another private UAE Law firm from 2002 to 2005. Mohammed gained a Bachelor of Law degree in 2002 from Assiut University in Egypt and is fluent in the English and Arabic languages.